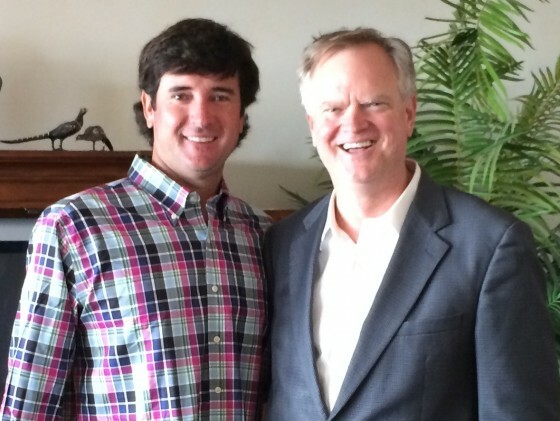 A professional golfer, who plays on the PGA Tour, Bubba Watson stopped by the Fish House and Jackson’s while he was visiting his hometown. One of the few left-handed golfers on the tour, he is a major champion, having won the Masters Tournament in 2012 and 2014. He is shown here with our our Collier Merrill.